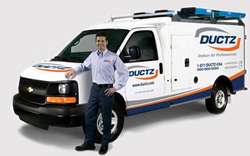 What sets DUCTZ apart from the competition? What Sets DUCTZ of Greater Atlanta Apart From the Competition? "We use Angie's List to assess whether we're doing a good job keeping valued customers like you happy. Please visit AngiesList.com/Review/138952 in order to grade our quality of work and customer service. To see our reviews you must have an Angie's List account, sign up here.